Never let it be said that a little rain keeps Pensacola’s Mardi Gras krewes from doing good work for our community. 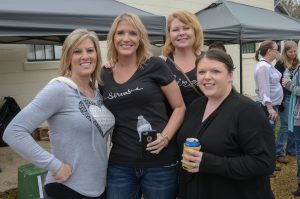 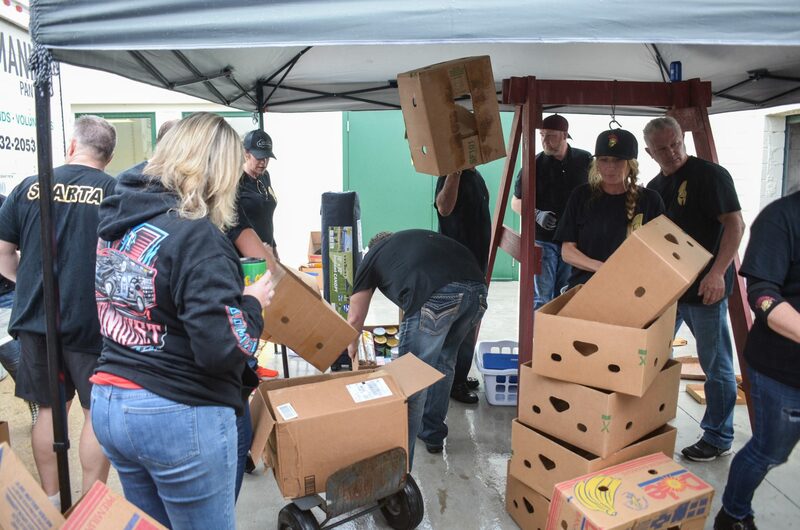 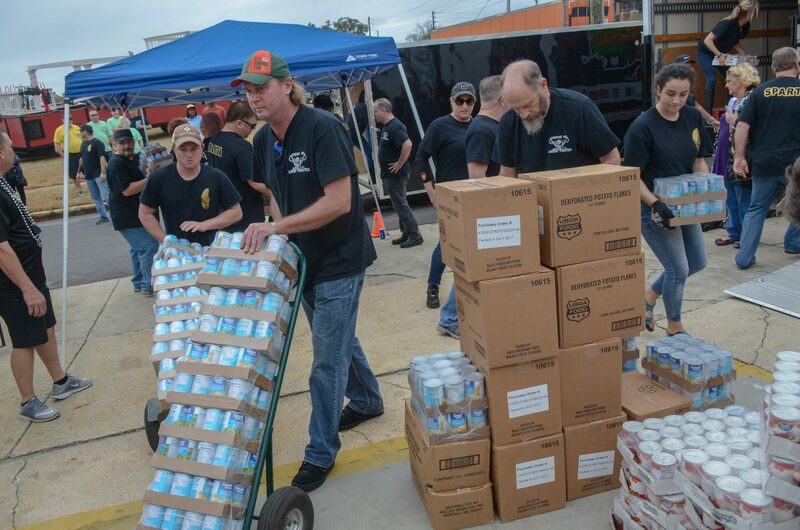 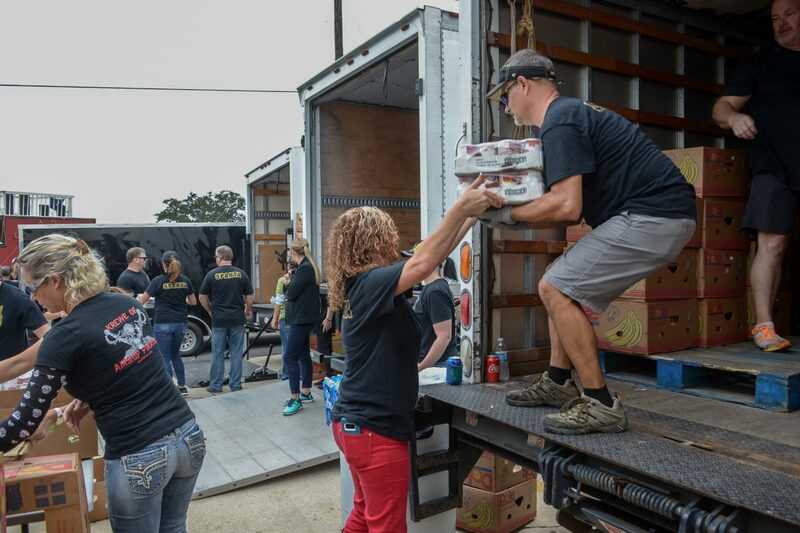 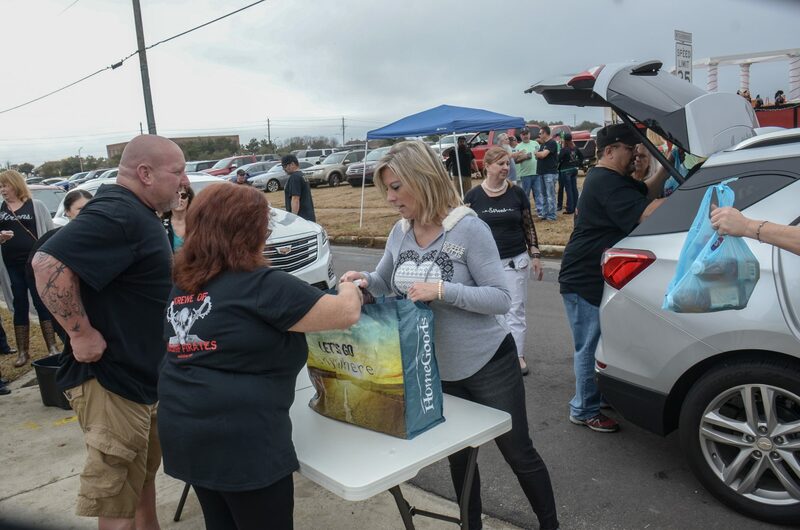 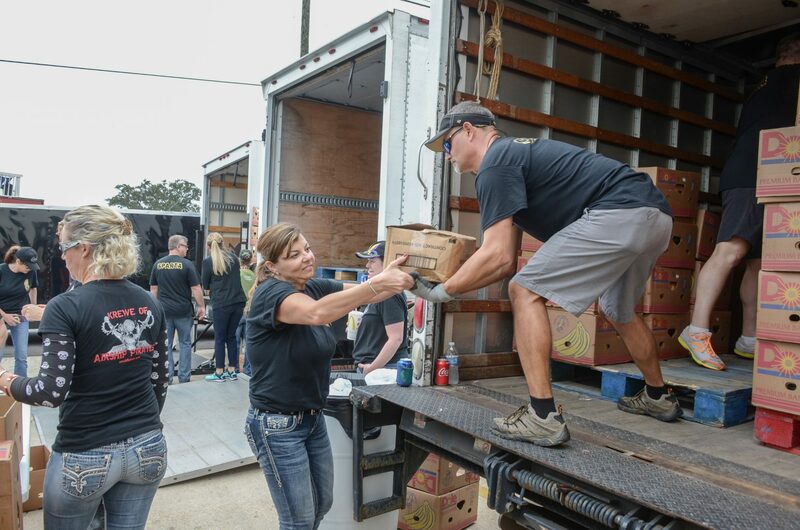 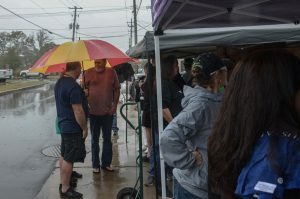 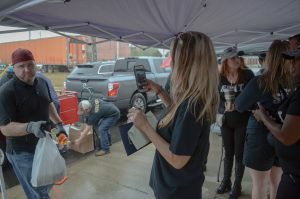 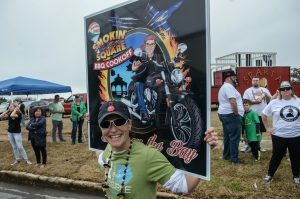 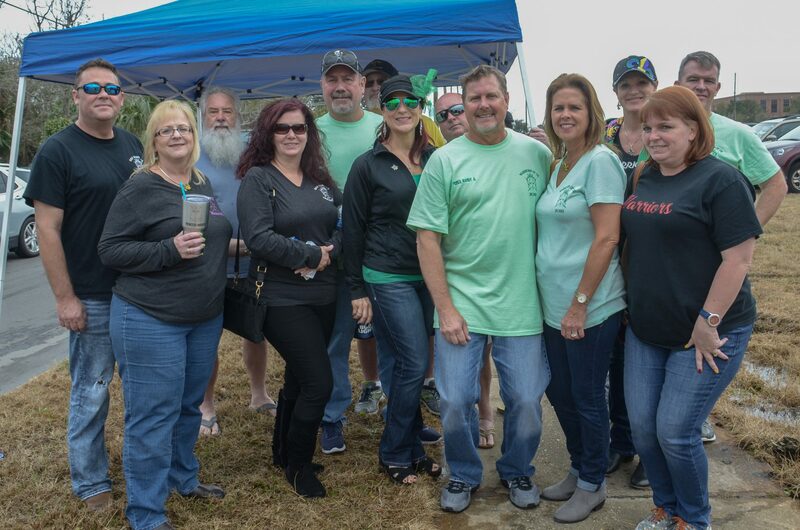 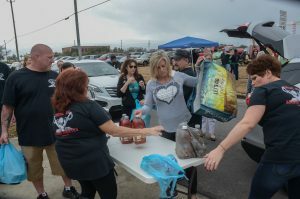 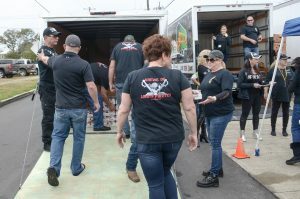 Despite a stormy Sunday, Pensacola Parade People was bustling with activity all afternoon as krewes rolled up to donate nonperishable food items to Manna Food Pantries as part of the Annual Humanitarian Award All-Krewe Food Drive Challenge. Newly sponsored by the Krewe of Sparta, which took over the event this year, the afternoon event brought members of several Pensacola krewes out to drop off food and enjoy tasty barbecue from Smokin’ in the Square and fellowship — and even to start getting those all-important throws purchased for parade weekend, as Pensacola Parade People rang the tills at a special discount for the event. 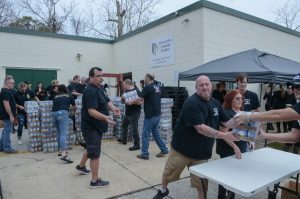 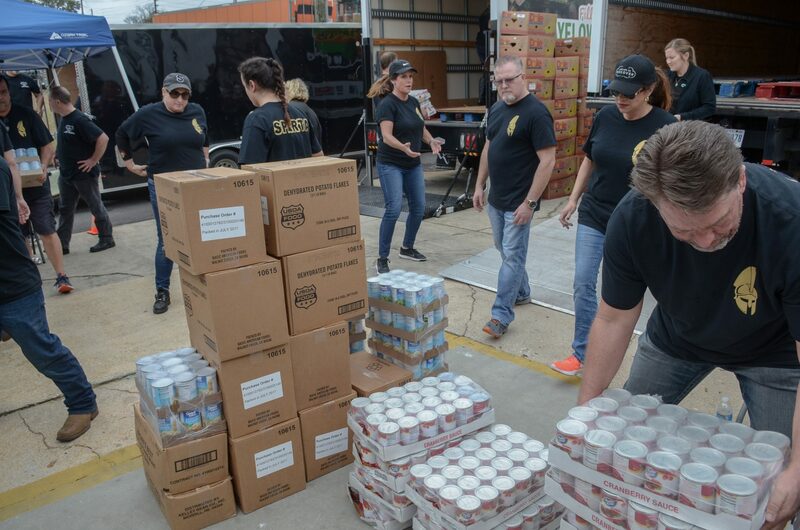 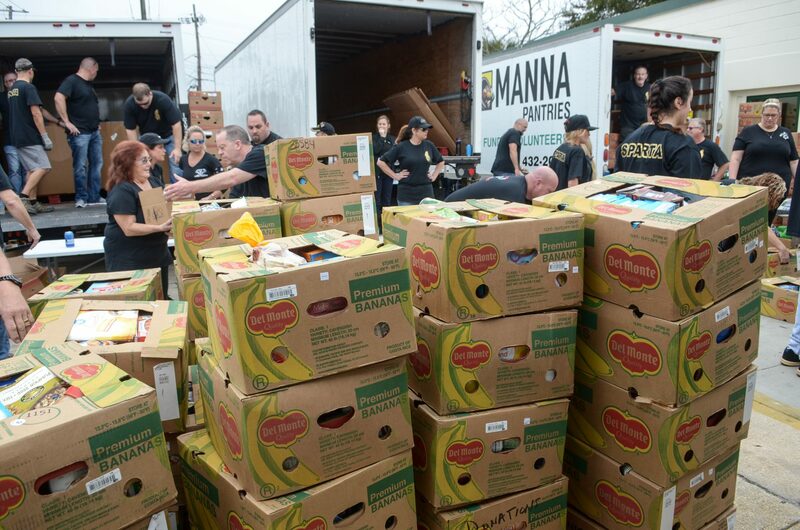 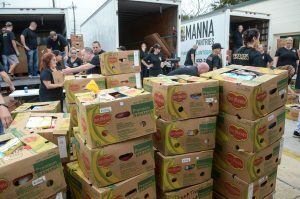 While the winner of the Challenge won’t be announced until the Priscus celebration on Fat Tuesday, we can report that more than three large box trucks were filled with nonperishable items to aid Manna’s mission to leave no one unfed. 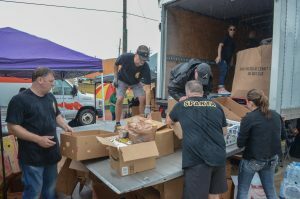 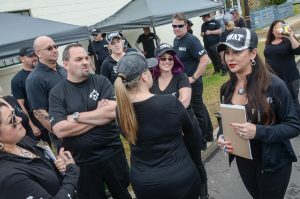 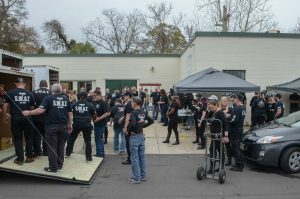 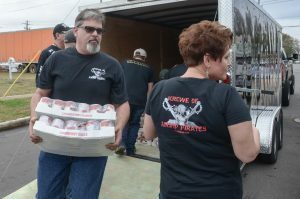 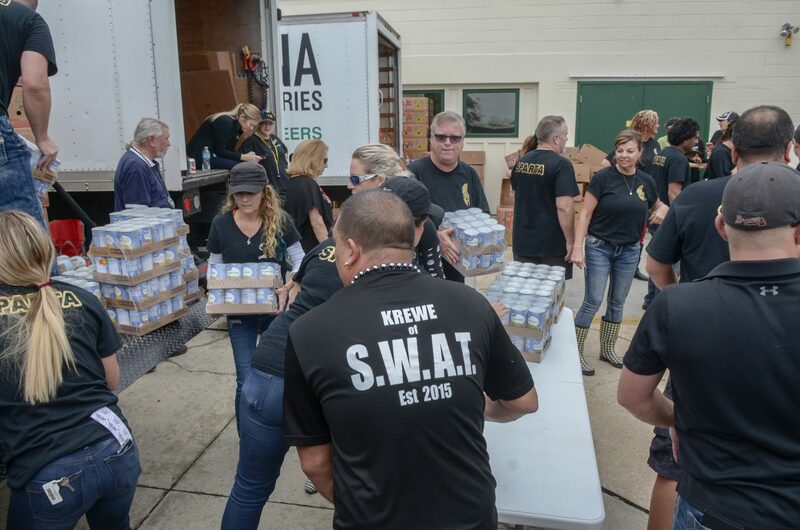 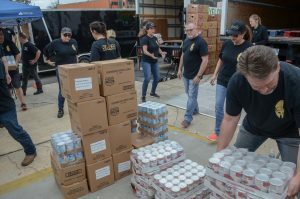 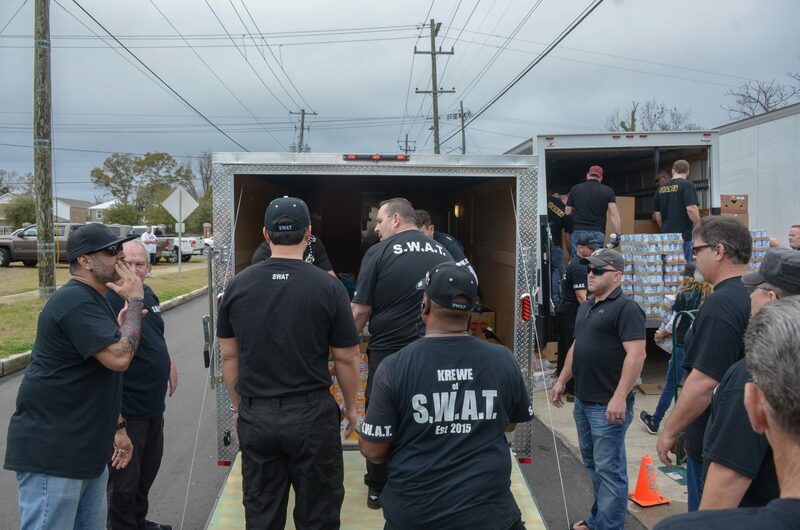 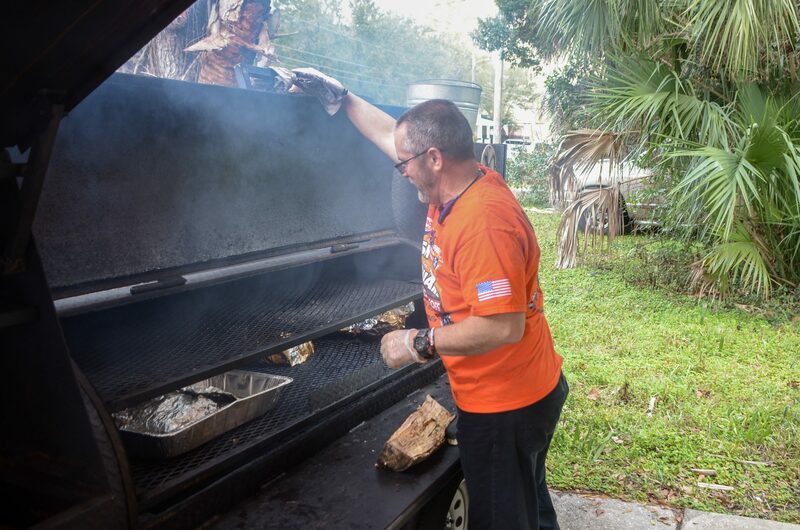 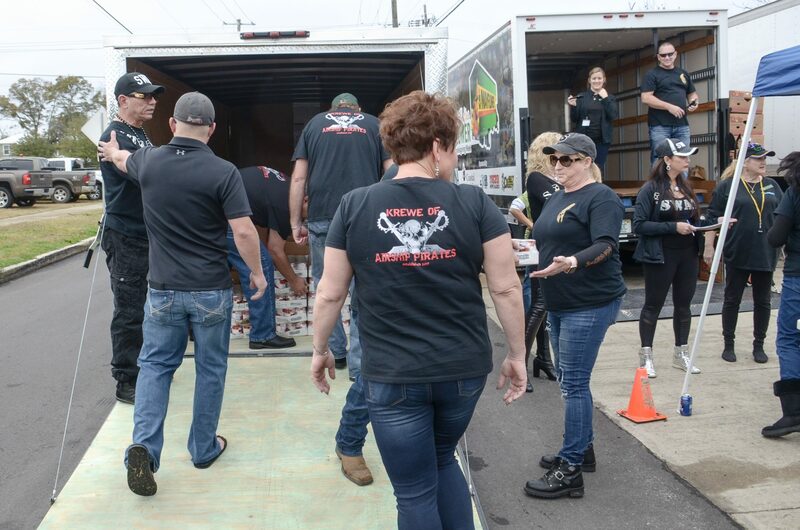 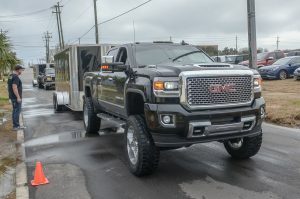 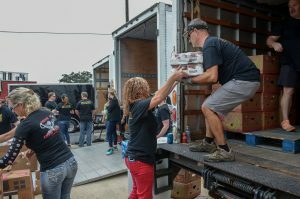 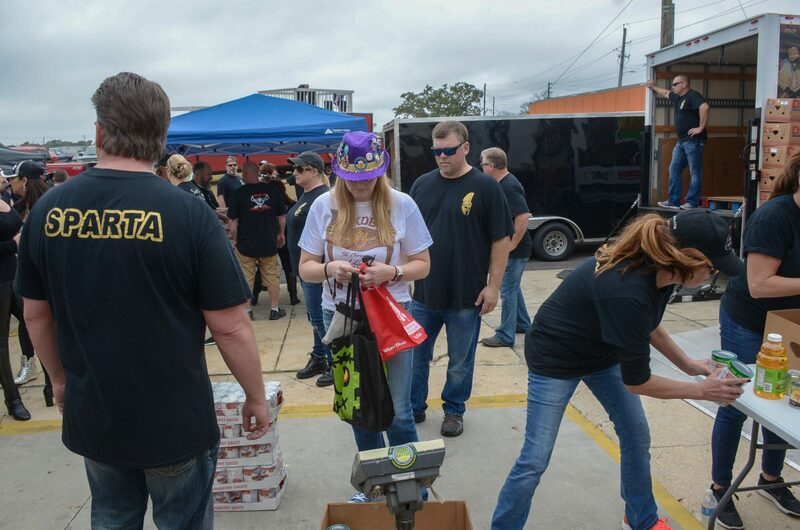 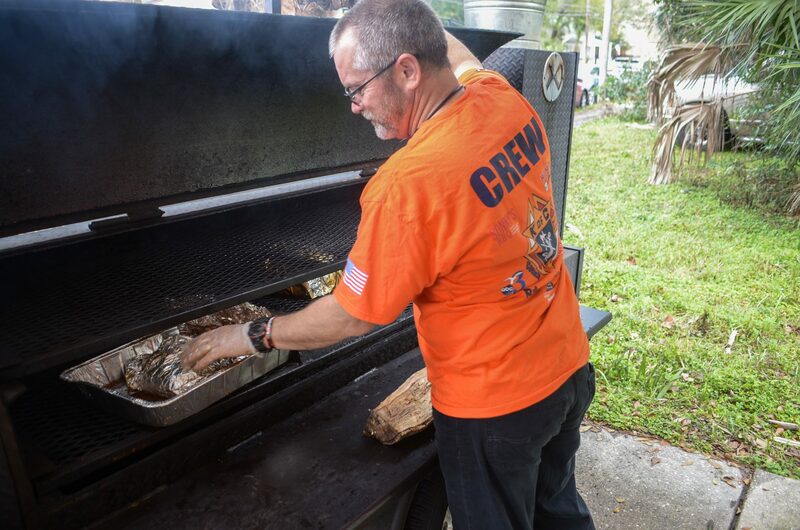 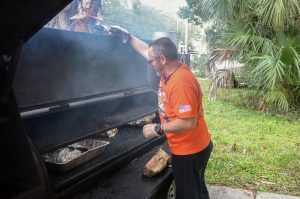 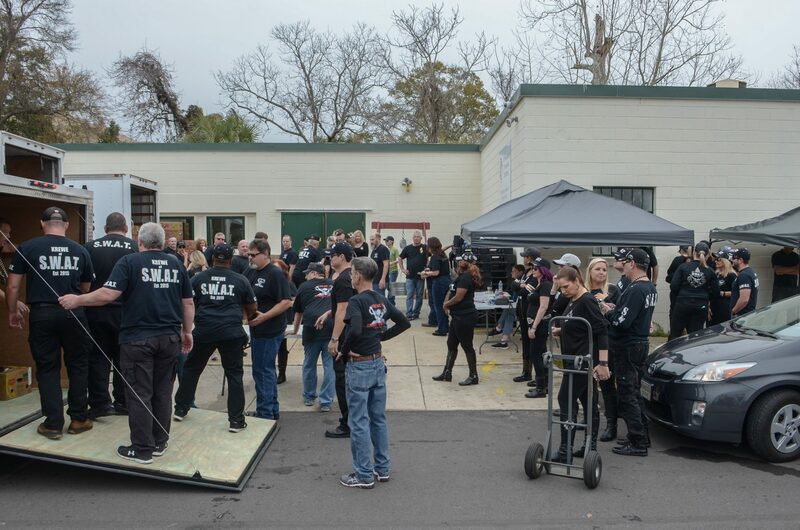 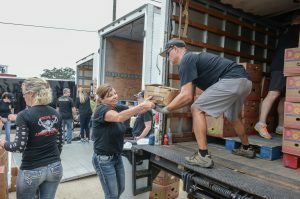 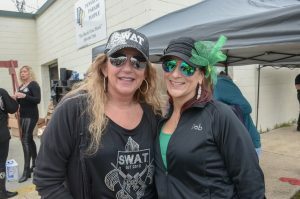 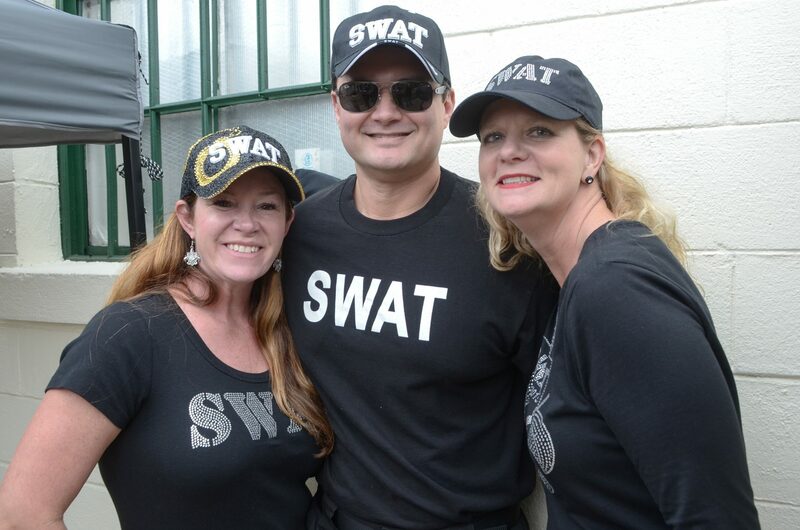 But we think it’ll be hard to compete with Krewe of S.W.A.T., which arrived with more than 10,ooo pounds of food, and Krewe de Bon Amis, which rolled up with a full box truck of its own. 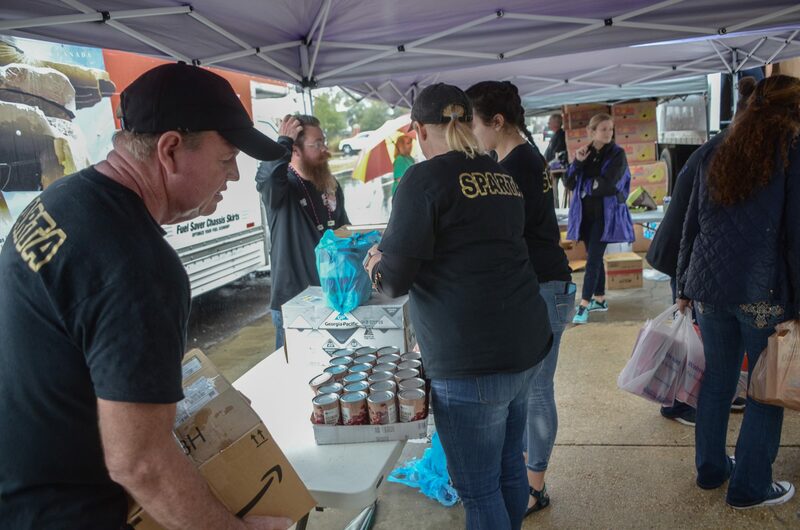 The winning krewe will receive the Humanitarian Trophy from the Krewe of Sparta at the Priscus Celebration on Fat Tuesday.